Vancouver, Canada — July 3, 2018 — MetaOptima Technology is pleased to announce that it has raised $8.6 million CAD ($6.5 million USD) to expand its advanced dermatology and skin cancer imaging and management software, DermEngine™, into global markets. This marks a key advancement in the way skin cancer is screened, detected, and managed. MetaOptima’s proprietary products, DermEngine™ and MoleScope™ mobile dermoscope were developed not to replace, but to assist healthcare professionals and the patient screening ecosystem at every stage. 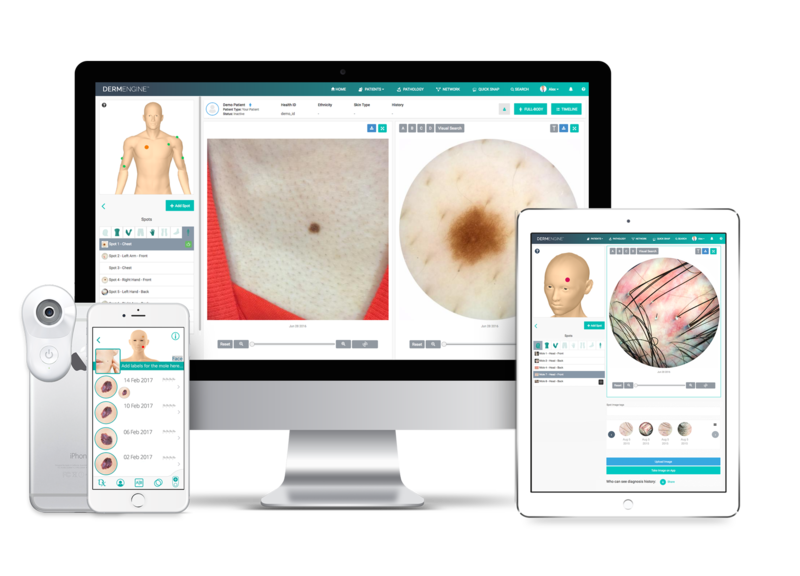 Capturing, documenting and diagnosing skin cancer can now be completed in minutes with MetaOptima’s affordable and powerful platform. Australia-based Skip Capital and AirTree Ventures led the Series A financing, with fund principals Scott Farquhar and Daniel Petre joining the MetaOptima team as major investors and board members. Skip Capital and its co-founders Kim Jackson and Scott Farquhar led the financing round in conjunction with venture capitalist Daniel Petre of AirTree Ventures. “We immediately recognized the potential the DermEngine platform has to radically modernize the dermatology field in Australia. Its ability to provide cutting-edge technology to manage, track and diagnose skin spots will improve early detection rates, which is crucial to melanoma survival rates,” said Scott Farquhar, co-founder of Skip Capital and software company Atlassian. Skin cancers in Australia account for roughly 80 percent of newly diagnosed cancers, with GPs undertaking over a million patient cases per year. MetaOptima has already garnered significant traction in the Australia market, assisting physicians across the country. Recognized as a growing concern not only in Australia but also around the world, MetaOptima strives to equip all medical professionals with the tools they need to provide optimized care in the fight for skin cancer early detection. For example, over five million new cases are diagnosed in the US each year with an additional 80,000 diagnoses in Canada.